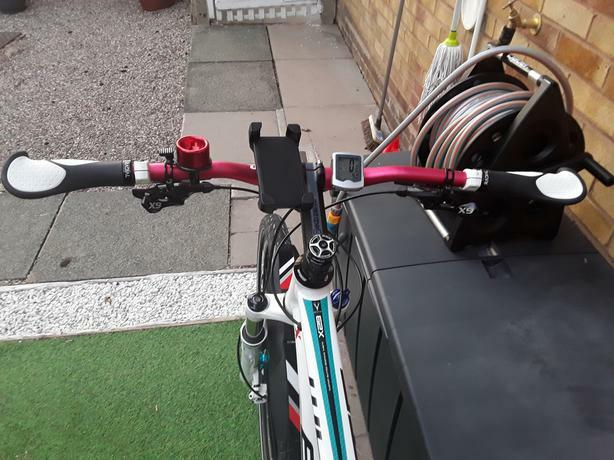 Excellent condition lots spent on upgrades as follows sram X9 front & rear shifters, sram X9 front derailleur, sram X0 rear derailleur, KMC X10-EL chain, handlebars and grips, handlebar stem. I have all the original parts (still new) which I will throw in as well. This bike is perfect and never used off road, done very little mileage as I bought this when I retired. Bought brand new and I still have original receipt. As you can see in photos this bike is still like new.